Everyone needs Hope in their life. This word along with the pink ribbon has become a symbol of women (and a few men) who have Breast Cancer. Yes, yes...I know it couldn't happen to you, (that was my thinking also....WRONG), but again today in the news is a prominent celebrity who just found out she has it. Joan Lunden reveals to Robin Roberts (also a BC Survivor) that she has been diagnosed. It can happen to anyone...make sure to check the tatas and have your annual Mammogram. I am entering this card into the Friends challenge at Simon Says Stamp as I made this for a friend, who luckily is also a Survivor. Also entered into the Paper Smooches Sparks Challenge...this week it is a Sketch. EDITED TO ADD: Entered into the "Wonderful Words Challenge" at Moxie Fab World. Ribbon beneath butterfly is cut with Silhouette Cameo. 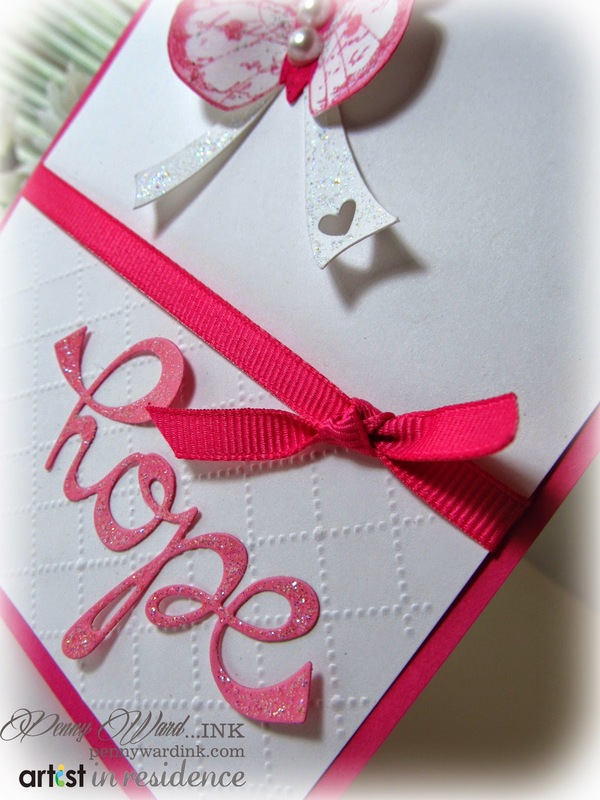 Die: Hope (Paper Smooches) then glittered up. Another winner!! This is awesome!! Love the bright pink. Many hugs. 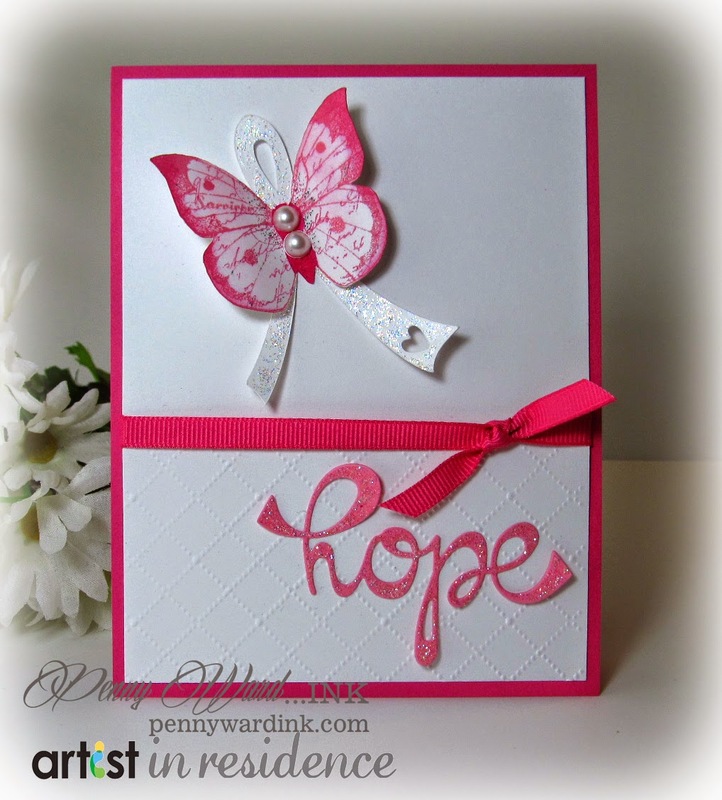 Gorgeous card Penny, the butterfly is so pretty & I love all the sparkle. Perfect, such a happy pink, Penny! And I love that PS hope die - must put that one on my list! So pretty and feminine... and such an important message you're reminding us of too. I love how you placed the butterfly over the ribbon. You are hope personified!! I admire you very much and thank you for your courage - and for the reminder to be vigilant about checking and having mammograms!! Love to you! !